The volume aims to reshape the study of Gothic architecture in Ireland, examining the way it was perceived and exploited not just in the Middle Ages but in later periods as well. 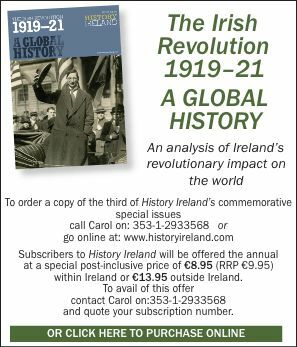 The book will consider how Gothic was introduced into Ireland, the degree to which it can be interpreted as a colonial style and the ways in which it was regarded by Irish as opposed to Anglo-Norman patrons. Particular emphasis is given to the archdiocese of Cashel, since the archbishops of Cashel were consistently drawn from the Irish community. In addition, this volume will consider the ways in which Gothic buildings were exploited in the aftermath of the Reformation, both in town and country. It will consider examples of conversion to secular use and explore cases of religious continuity and reuse. One chapter will explore the varied fortunes of medieval parish churches during the seventeenth and eighteenth centuries. Focusing on the churches of the diocese of Ossory, it will consider the condition of churches c. 1600, the impact of the Cromwellian reconquest and the later context of the churches in the light of the minority nature of Church of Ireland congregations. There will also be an examination of the ways in which architects and writers studied, interpreted and reinterpreted medieval Irish buildings—physically, through restoration or rebuilding, and conceptually, through the production of texts and drawings. It will consider these developments in an international context, and will explore their impact on subsequent legislation designed to protect and preserve Ireland’s architectural heritage. 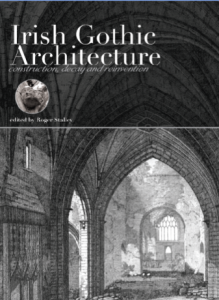 In short, the volume is designed to demonstrate how the meaning and perception of Gothic monuments have changed and evolved over a period of 800 years and to inspire a greater interest in Irish Gothic architecture as a whole.